Minister Harris said that no woman accessing a termination should be subjected to intimidation or harassment. He said: "We have all worked really hard as country, and clinicians have worked really hard, to make sure we have abortion services in Ireland are in place. "Those services are in place and people need to have confidence that they can go and have that conversation with their doctor, make the decision in relation to their own choice and have their details protected - just like any of us would when we use the health service. "So when I see information appearing in the public domain that suggests there was a data breach, then that huge cause of concern." He said the facts of this case have to be established: "I have asked the HSE to review this mater and report back to me on it." The National Women's Council has welcomed the investigation, but said it must establish the facts as a matter of urgency. She said she had a termination at the National Maternity Hospital on Monday and alleges that an individual phoned her on Wednesday to tell her to go for a scan. When she contacted the hospital, it said the call was not made on its behalf. Orla O'Connor of the NWCI said it would be a "dreadful situation" if a woman who has accessed a very private healthcare service found herself being contacted by anti-abortion activists. "That is why it is critically important that there is an investigation into this, to find out the facts and to find out if and how a woman's contact details have been accessed," she said. She added: "The answers are really important for that woman but they're also really important for any woman who is going to access the service because they need to have trust and confidence and to feel that the service is safe." "And that is why it is very positive that the minister has said that he is going to have that investigation but it needs to happen urgently". 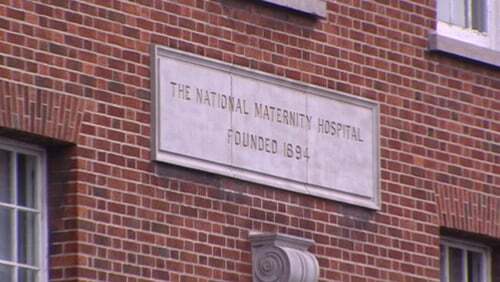 A spokesperson for the National Maternity Hospital said it does not comment on individual cases. "Patient confidentiality is of the utmost importance to us, and any suspected breach of confidentiality is always investigated as a matter of urgency in conjunction with other organisations who may have access to patient details," the spokesperson said. The HSE has said it is trying to establish the facts around the alleged incident before deciding how to proceed. It is also considering a number of measures against agencies or individuals who have attempted to masquerade as the HSE's abortion information service, myoptions.ie.